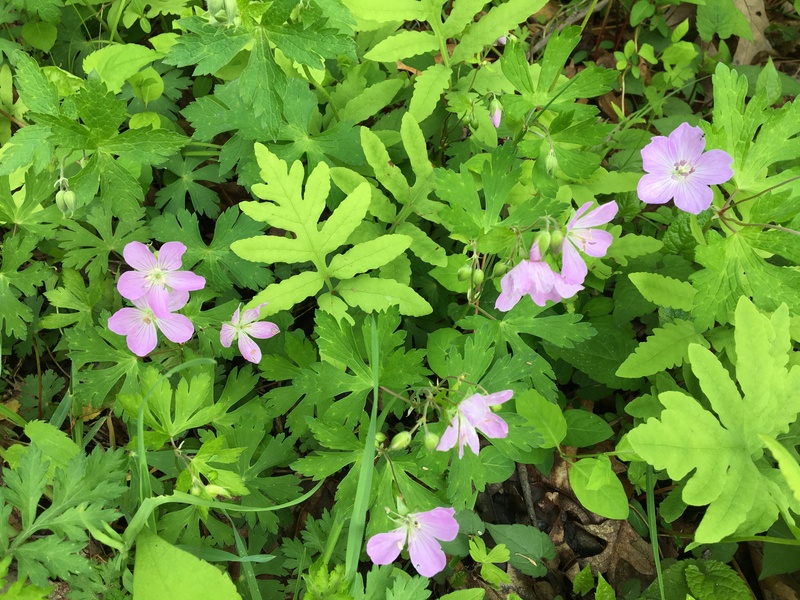 Come walk the beautiful Goss Property with Lauren Brown, a long-time Branford Land Trust member and botanist who really knows local plants and flowers. The walk will be held on Saturday, June 2 at 2PM. We’ll meet at the Trolley Trail parking lot off Tilcon Road in Pine Orchard. The Wildflower Walk is free and open to the public. Expect moderate terrain, some sloping trails and steep inclines, rocky underfooting. Please wear appropriate dress and comfortable, supportive walking shoes. Bring water. Walking sticks welcome. The Branford Land Trust is a non-profit organization, celebrating 50 years of protecting Branford’s open space and natural resources. Upcoming 50th Events include Horseshoe Crabs (June 7) and our 50th Anniversary Celebration (June 23). 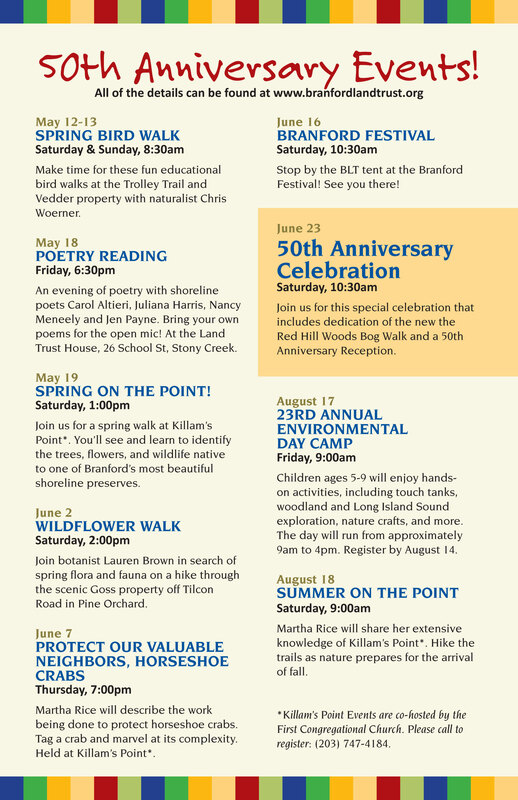 For more information about all upcoming events, visit www.branfordlandtrust.org.